I first swam with the fishes in Hanauma Bay on Oahu. Little did I know, snorkeling in this flooded volcano crater teeming with fish and marine life, that I was starting at the top. I had traveled half way across the globe from Maryland to Oahu to join the man I would marry. He was there on business. I was there in the throes of that beginning stage of love–when gravity shifts, your vision sharpens, the sun brightens, your energy abounds, the leaves wave and clap for you, and life is the most wonderful stupendous adventure. I was queen of an ongoing parade, floating, with my king. Life was indeed magical above ground those first few days in Hawaii. But when I, my girlfriend who had traveled with me, and my husband-to-be duck-walked in our flippers into the bay, donned our masks, stuffed snorkels in our mouths, and fell backwards into the warm Pacific water, my fascination increased. Under the crystal blue water was a world of magic that had nothing to do with my husband, and everything to do with…physics and the fishes? If you imagine the most diversely-stocked aquarium ever and you’re swimming in it, you get a vision of snorkeling in Hanauma Bay. But what left me staggeringly breathless was the perfect floaty dance that immediately began between me and this staggeringly colorful, diverse, and ever-moving kaleidoscope of fish! They were ALL around me, dozens, hundreds, close enough to kiss, and yet, no matter how I moved, what appendage I moved, or where I moved, I NEVER touched them. They would move in concert to my moves, in a dance that was infinite, ever reaching, and never ending. The physics of water does not explain this. I’ve run into plenty of people in the ocean, and they’ve run into me. I’ve collided with swimming crabs, and been repulsed by putting my hand through jelly fish. I know water doesn’t provide an absolute barrier. How did I never touch a one of those fishes? Fast forward a WHOLE lot of years…I’m swimming last week at the Jersey Shore. The water is clear and the waves are moderate. I can see the sandy bottom between breakers. I’m swimming horizontally to the beach, against the pull of the current so I don’t end up several beaches below where I entered, when I realize I’m not swimming alone. There are two fish with me; really with me. No matter how I twist, or turn, or swim, they stay right next to each other, and right next to me, close enough that they are almost touching my ribs, but not quite. Not ever, quite. Observing that I absolutely can’t shake these two little companions, but I never run into them either, I’m half freaked out and half giddy with delight. I’m twisting, and turning, and leaping—and grinning. They adore me! Then I realize it’s my bathing suit they adore. Observe below: my bathing suit. 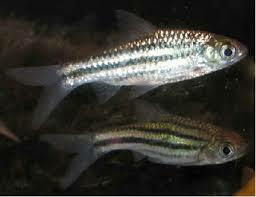 My zebra minnow friends, or a relative thereof. 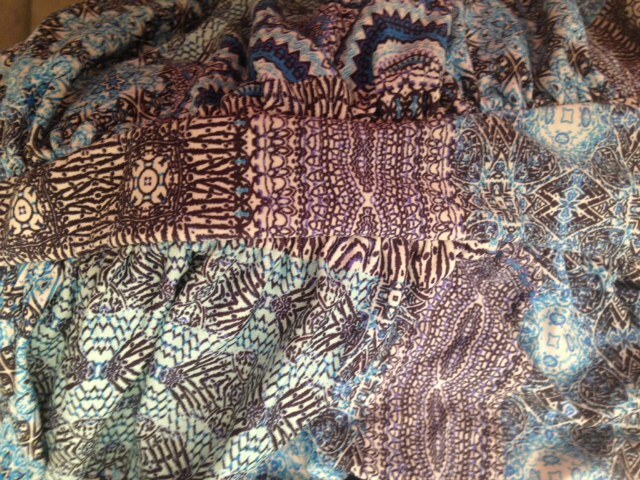 And just for comparison, a minnow-print bathing suit by Anthropologie. 1. Feel safe from predators. 2. Higher chance of finding food. 3. Easier to find a mate. Like being operated from one mind at the same time. Me and my two minnow friends. Me and the gang at Hanauma Bay. And maybe, every now and then, me and the man I married almost 30 years ago. Call it attraction. Call it synchronicity. Call it love.